On Holy Thursday evening, Fr. Anthony gave us an excellent homily which challenged us to consider how we participate in the Eucharist which we commemorated Jesus instituting. I’ve referred many times before to the Second Vatican Council and the Constitution on the Sacred Liturgy, which calls us to full, conscious and active participation in liturgical celebrations. Our participation is our right and duty as baptised Christians (no. 14). 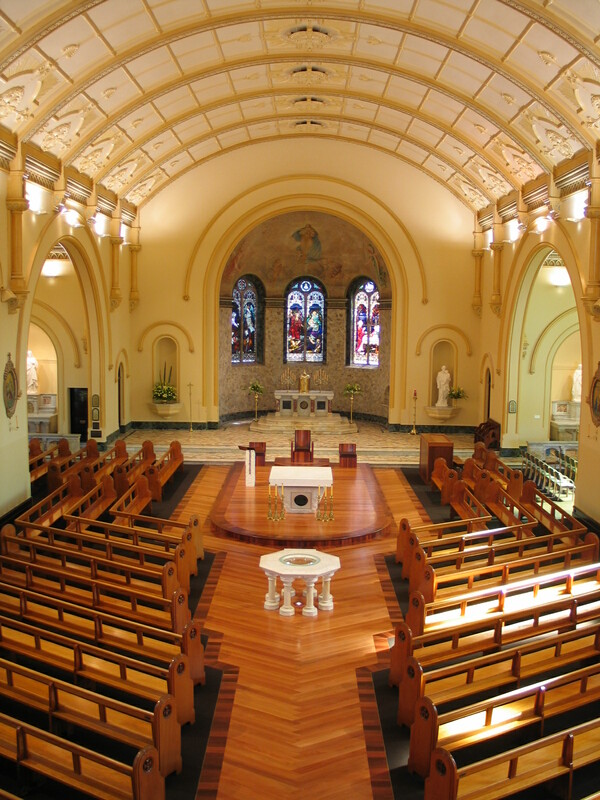 So that we may fully, consciously and actively participate in the Mass as much as possible, parishioners have recommended that we consider new ways of arranging the sanctuary and the nave (the seating area of the assembly) for two reasons. Firstly, so that we can get a true sense of being gathered around the altar and the ambo. Secondly, so that we all may be closer to the sanctuary. As Fr. Anthony reminded us, we are not spectators in the liturgy. Rather, led by the priest, we participate collectively in the celebration of the Eucharist. After all, during Mass Christ is made present in the proclaimed Word, the consecrated bread and wine, the priest, and the assembly that gathers to worship. Don’t forget that your comments on the recommendations are welcome. You can speak to Frs. Denis or Paul, to any other member of the Liturgy Committee, email us at litcomwenty (at) yahoo (dot) com (dot) au or comment below. The homily was a welcome reminder to us sitting on the pews. I also was moved by the sacred music. Im happy with the seating arrangements in place there. I don’t imagine it could be changed as it is narrow. In any case, prefer the altar at the end; I even like the low “fence” from the old flickr photo of 1959 sanctuary. One thing I would like to recommend is: can the psalm be sung from the choir upstairs instead of having them come down; I think they were sung beautifully by the way.